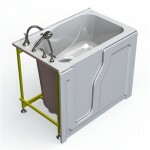 The improvement on the classic Best Bath walk-in tub, made to fill the need for an extra large tub! 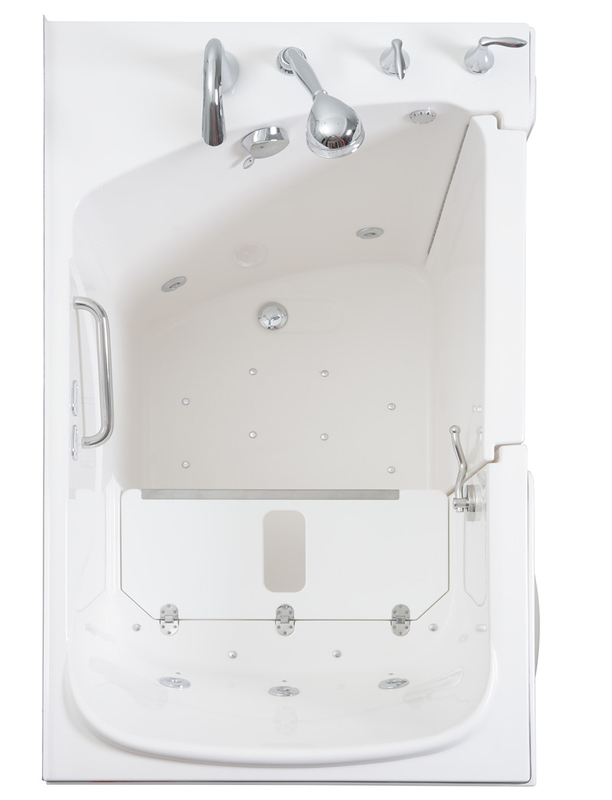 Whether you simply want the luxury of a generously sized walk-in bath or need an improved size for Bariatric care and therapy, the Big E is the tub for you. Enjoy a seated bath, seated shower, or stand up shower. Features a timer controlled flip up heated seat, dual drain and overflow systems, and safety assist bar. Gelcoat fiberglass easy to clean construction with easy to remove magnetic plates for access to all plumbing and internal works and a pressure seal door. Extra deep for a luxurious soak! Choose from many optional additions to customize your tub for the best bathing experience.